John Lewis & Partners is working towards going naked on cards to coincide with its Autumn replan which goes into stores in October. 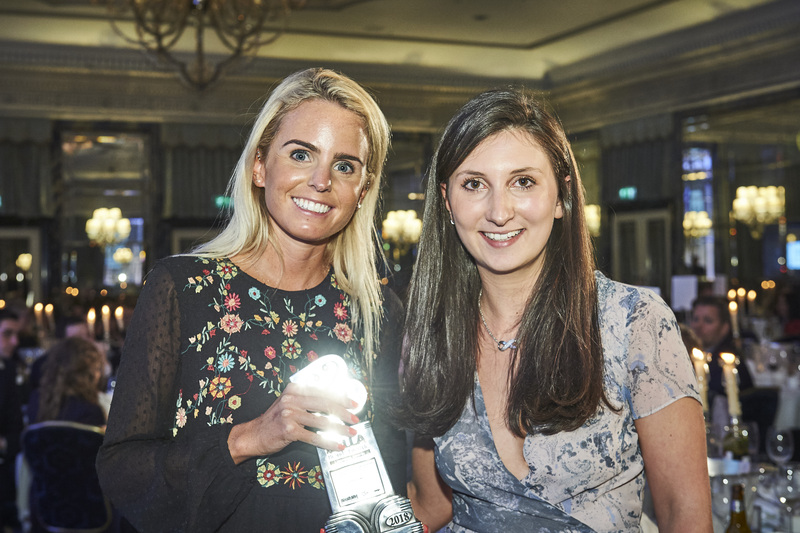 Above: Lizzie Batchelar (left) at the Brand and Lifestyle Licensing Awards last year with JL&P colleague Rosie Bick. John Lewis is holding a publisher supplier meeting on the May 8 where the move is to be discussed. “We are still finalising our agenda for this day, but the focus on making cards recyclable will certainly be on there!” affirms Lizzie. Reinforcing its commitment to further improve its environmental credentials, the department store group has collaborated with Caroline Gardner and Jutexpo (a world’s leading eco-friendly reusable bag company), to produce a new shopping bag made entirely from recycled plastic bottles. Above: The eco bag that has been made from recycled plastic bottles by Jutexpo in collaboration with John Lewis & Partners and Caroline Gardner. 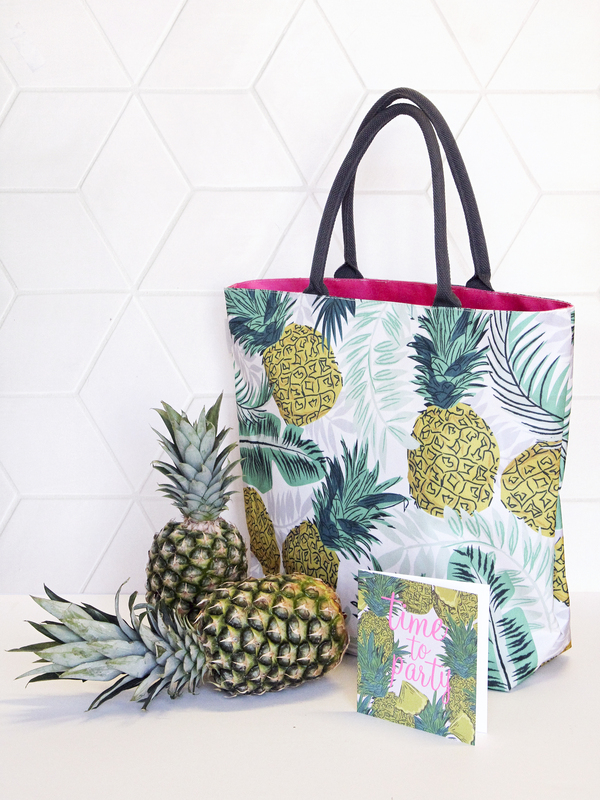 Each of the bags, which feature a striking pineapple design, is made using 7.6 recycled plastic bottles. They have been manufactured using Jutexpo’s HALT process, which turns post-consumer plastic into a soft, durable fabric called rPET (recycled polyethylene terephthalate), which can be wiped clean. The bag is now on sale, in store and online for £8. “This fun shopper bag is a perfect way to care for the environment by reusing the bag time and time again. The bottles are recycled from post-consumer waste, putting to use plastic bottles that would have otherwise been thrown into uncontrollable waste streams,” states Lizzie. Above: Among the JL&P best sellers for Easter are these Louise Mulgrew (above left) and Susan O’Hanlon designs. It is not just on the environmental front that things are on the up at John Lewis & Partners as Easter sales of cards are tracking very positively, and this is on the back of the last two years’ strong sales for the event. “Comparing like-for-like, we are currently up 9% compared to last year. This week, we saw an even bigger uplift of 28% on the previous week,” revealed Lizzie. Of the top performers, Lizzie highlights Woodmansterne, Susan O’Hanlon and Louise Mulgrew designs as scoring highly with customers. JL&P believes more customers than ever before are viewing Easter as an opportunity to get together and celebrate with family and friends; and are decorating their homes in the same spirit as they do at Christmas. Its sales of Easter decorations are already up +32% on last year and are expected to increase further in the coming days, with Easter trees, wreaths and decorations all seeing significant sales rises. Above: JL&P’s white decorative tree has proven very popular this Easter. 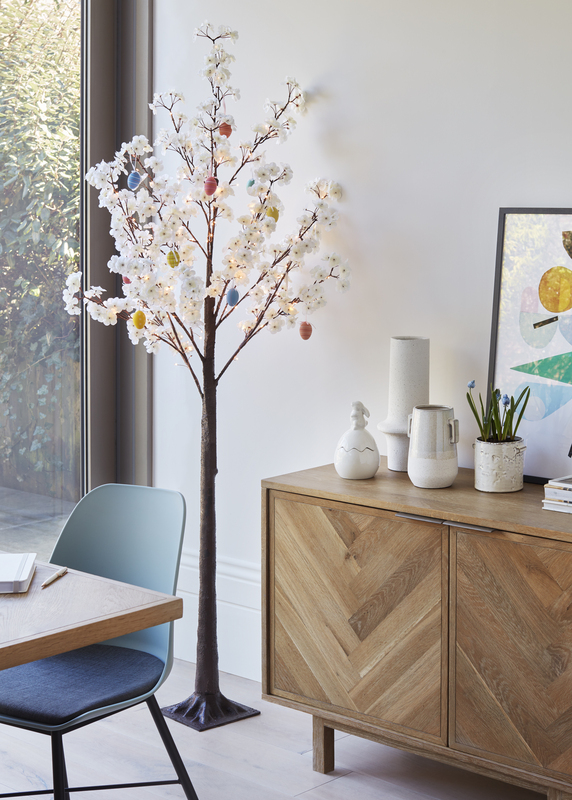 Lisa Rutherford, buyer of stationery and seasonal events said; “In a move on from the traditional Christmas tree, customers are now also dressing a tree for Easter. Top: John Lewis is looking to move to unwrapped cards by the Autumn replan.